Since human beings are more than just intellects…the curriculum must develop more than just intellectual virtue. Creatures formed in God’s image must be cultivated in body and soul – mind, will, and affections. 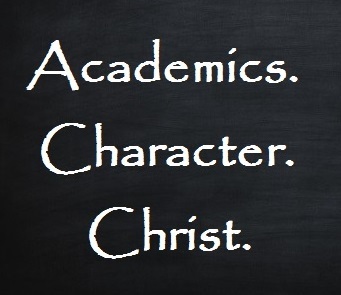 At Paideia, we seek to plant education in the ground of piety, by instilling our students with a love and respect for God and for their fellow men. As our name indicates, Paideia takes a classical approach to education. We believe in pursuing wisdom, eloquence, and virtue through reading the great books and studying the liberal arts. Prior to the twentieth century, classical education was the normal model of education. Students were steeped in classic literature that speaks to the human condition across the ages. Students were given the tools of the trivium (grammar, logic, rhetoric) and the quadrivium (arithmetic, geometry, music, astronomy) so that they could use these liberal arts throughout all their other studies. Another facet of classical education is the way subjects are taught. In her seminal essay, “The Lost Tools of Learning,” Dorothy Sayers outlined three stages of childhood development which she saw as corresponding with the three subjects of the Classical trivium (Grammar, Logic, and Rhetoric). At Paideia we like to refer to the Grammar stage as the Musical stage. It is the stage where students wonder at Creation and delight in imitation. Many of our subjects are story-based, teaching character and content through narrative. In the Logic stage, students enjoy learning how everything fits together. They study formal logic, the science of how to argue (not quarrel!). Dorothy Sayers calls the junior high years the Pert stage. In the Rhetoric stage, students concern themselves more with appearance. They learn how to present ideas with polish and sophistication. Dorothy Sayers refers to the high school years as the Poetic stage.